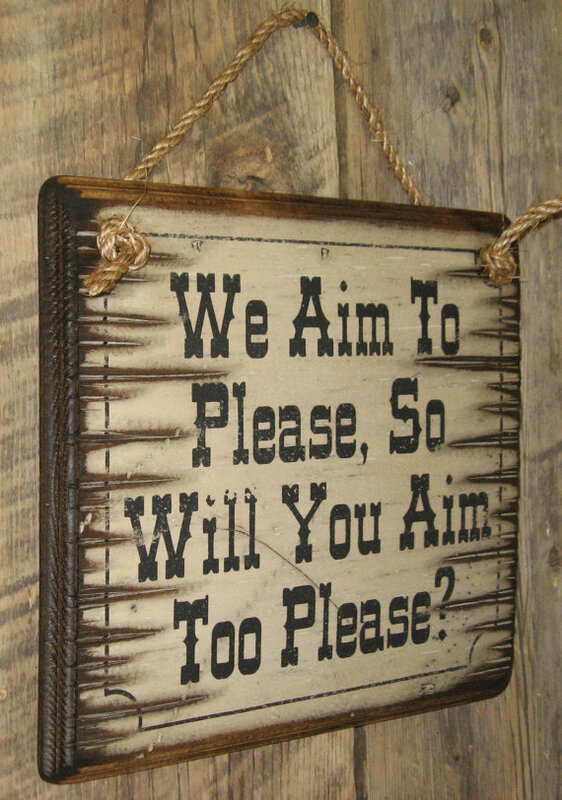 We Aim To Please, So Will You Aim Too Please! 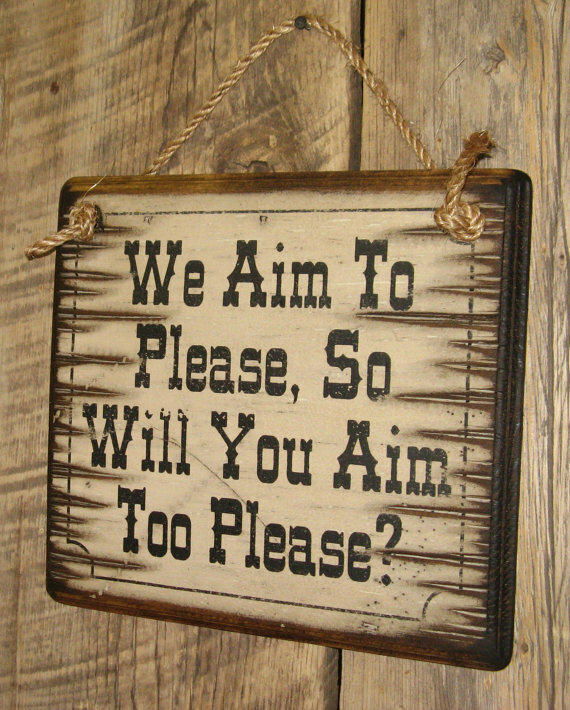 Place this in your bathroom if you wish that people would be a little more careful with their aim This white background sign measures 12x12 and comes with the grass rope hanger for easy hanging. Handcrafted with pride!! 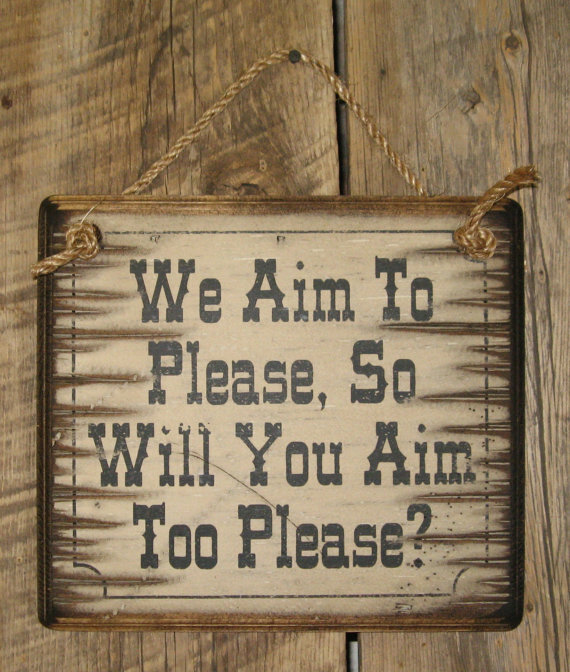 About We Aim To Please, So Will You Aim Too Please?